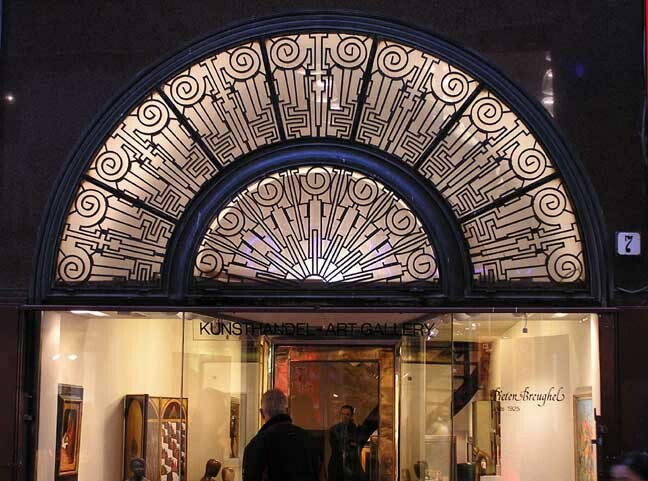 The fanlight became an increasingly important element in the design of the front door as the 18th century progressed. Gradually it became more popular to reduce the height of the door, replacing its upper register of panels with a fixed glazed panel ("fanlight") that admitted light to the hallway. 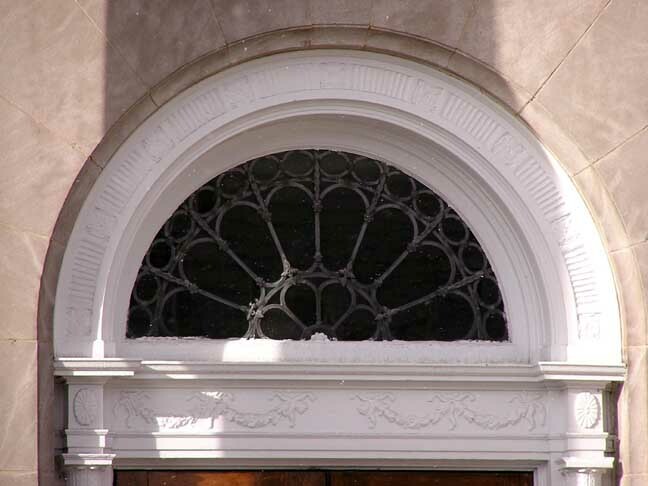 A type of transom window. The technical advances in metal casting resulted in the frames being made of cast iron and later lead, zinc and copper. Highly decorative elements were sometimes cast in bronze. This facilitated a fineness of construction and design that is unique to this neoclassical period. One of the principal manufacturers was the Carron Ironworks, of which John Adam was a Director. Illustration above: 160 Windsor Ave.